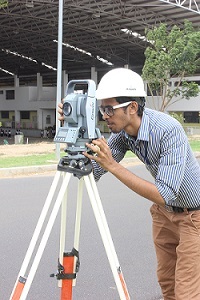 The Surveying Laboratory enables students to understand the basic principles of surveying by conducting field exercises using surveying equipment. Most of the field exercises are conducted outside the laboratory room to gather field survey data using state-of-the-art surveying equipment. Care and proper handling of surveying equipment is also emphasized before, during and after the field survey. To get a good field exposure, the Survey camps are conducted for students which enrich their technical skills. Soil is one of the most important engineering materials. Determination of soil conditions is the most important of work in the first phase for every type of Civil Engineering facility. 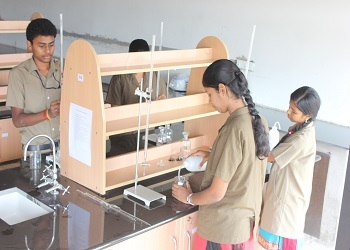 In this Laboratory, students learn to determine the properties of the Soil by both field and laboratory test methods. During the course work, they are exposed to several laboratory tests that are very commonly performed to determine different properties of soil. These properties are essential for the design of foundation and earth structures. 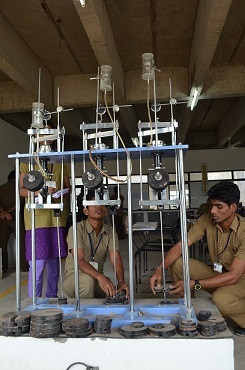 The primary objective of Environmental Engineering Laboratory is to demonstrate environmental engineering testing procedures to the students. This lab is continuously upgraded with the latest environmental equipments. Environmental Lab mainly focuses on the water and waste water analysis such as physical, chemical and biological parameters during the course work. Hydraulic Laboratory includes turbines, pumps, orificemeter, Venturimeter, major losses and minor losses and other equipments. The laboratory experience includes the study of open channel flow, closed conduit flow, performance analysis, pump characteristics, and water resources. 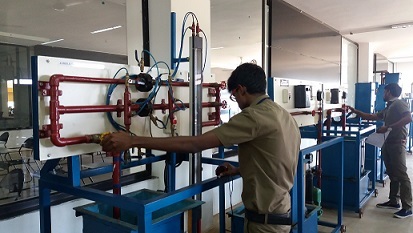 I this Lab the students are taught about the properties of the flow and other physical properties of fluids which are visualised in the laboratory by physical experiments as a part of course work. The Concrete and Highway Engineering Laboratory Lab has been established to support research and give instruction in Concrete and Transportation Engineering. During the course work students will be well exposed to physical properties of the Concrete and Highway materials through laboratory tests. The lab is equipped with modern equipments for testing various properties of Concrete, Coarse and Fine aggregates and Bitumen. 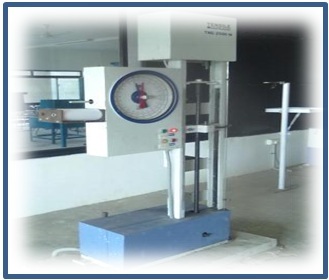 offers facilities for testing building materials for their strength, behavior and suitability for various applications. CAD Lab offers students with real time Hands-On experience in using various software tools used in Civil Engineering domain. Students undergo practical sessions on AutoCAD software for drawing 2D, 3D plans and elevation along with detailing of reinforcements in various structural elements. 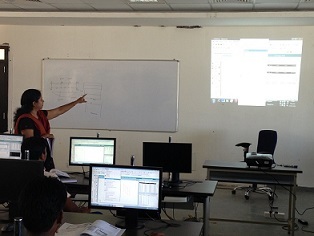 Students are also provided with special training on structural analysis using STAAD.PRO V8i software.